Left to right, Adam, Kim and Aaron Martin of Hoffman Body Shop and Graphics. In 2012 Adam Martin gave life to the "graphics" part of Hoffman Body Shop and Graphics. Adam’s parents have owned Akron-based Hoffman Body Shop since 1997 and have grown it into a very successful small business. Adam wanted to make his own mark on the business and decided graphics was a good place to start. He carved out a small office space in the existing shop, bought a large format printer and cutter, and got to work! His services include graphic design and logo creation, graphics application for various products including ad specialties, clothing, and of course anything auto related; (think cool graphics on cars, motorcycles, race cars, trucks, trailers, semis, and even school buses!). Adam now has two printers, two employees and he occupies a much larger place in the shop. Working alongside his family, he serves customers all over Indiana. Adam completed FEDCO's Business Planning Class and borrowed start up money from the low interest loan program. Adam proves there are always more opportunities out there and even successful existing businesses can identify new markets and expand their services. Dawn Peterson opened Jarrety’s Gourmet Sandwiches and Catering in 2006. Located right in the heart of Downtown Rochester, Jarrety’s offers a coffee bar, sandwich shop and full-service catering. The restaurant quickly became THE place to go for food, outstanding customer service, and a positive atmosphere. Business was so good, in fact, they needed more space. In 2016, Dawn decided to double the size (and then some) of Jarrety’s, expanding it by 5800 square feet into the adjacent storefront and more than doubled the size of the kitchen. In addition to a larger kitchen for expanded catering, there is more restaurant space, a bar, and a large meeting area. Dawn has used FEDCO’s small business services along the way, including low interest loans, training funds, SBDC counseling, and she also completed FEDCO’s business planning class. Jarrety’s was also the winner of the 2014 FEDCO Business Plan Competition, as an existing business. We asked Dawn what advice she has for others who want to start a business….”When someone tells you no, keep going!” and she has. They say one of the secrets of a successful business idea is to offer a product or service that solves a problem. Mason and Aereka Heyde did just that. 660 homes sit along the banks of Lake Manitou in Rochester but there was no place on the lake to conveniently purchase gas for boats and watercraft. Mason had toyed with the idea for some time, then in spring of 2017, launched Manitou Marina. Located on Lake Manitou, Manitou Marina will be the only fueling station that is accessible by boat to lake dwellers. The first summer has proven to be a success with plans of expansion in the future. We're so glad we had this time together. Pamela Inwood, originally from Chicago, became intrigued by the bridal industry in the mid-90s after taking what she refers to as a “left turn” in her career. 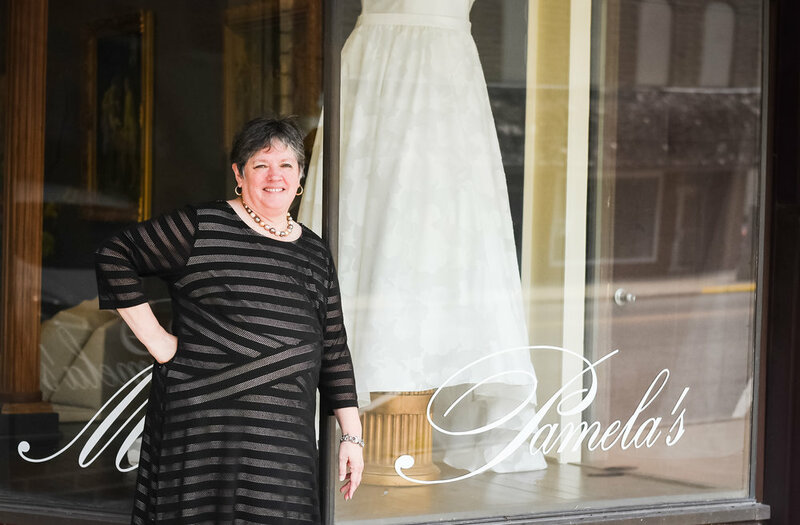 Miss Pamela opened her bridal salon on Main Street in Rochester in 2008. After close observation of the market she transitioned the store to accommodate the plus size bride offering plus size bridal gowns, bridesmaid dresses, veils, jewelry, and a variety of other wedding related services. Miss P is even licensed to perform weddings in Indiana. Talk about a one stop shop! She eventually expanded into a bigger (and beautiful) location at 723 Main Street in Rochester. Being the ONLY plus size bridal salon in Indiana allows Miss Pamela’s to attract brides from hundreds of miles away. The salon is a destination and is known for its outstanding customer service, attention to detail, and personal attention to each and every bride. Miss Pamela has taken advantage of FEDCO’s loan program, technical assistance program, and Small Business Development Center (SBDC) counseling services. When asked her thoughts about FEDCO’s program, her response, “The loan program saved my store. The low interest, short pay off… and the process is easy. Very easy.” Advice to new business owners? “Never Give up!” Thanks for your example, Miss P! Miss Pamela officially retired in January of 2018; she’s off to ride an elephant or visit Europe, maybe have an overnight with the penguins in Antarctica! We wish her happiness and fun in her retirement and thank her for her impact and example in our community. Northern Traders owners, Alan and Sandra Bailey…and Roger. Treasures abound in this business. Alan and Sandra Bailey transitioned a struggling furniture business into a bustling antique mall and flea market in 2013. Capitalizing on a love of antique treasure hunting, they set out offer Fulton County the finest in antique and flea market items….and they succeeded. Today Northern Traders has grown to accommodate over 100 vendor booths and they have a list of vendors waiting to get their products into the store. Through their vendors and their own finds, Northern Traders offers unique items (ask Sandra about camel saddles and a gold tooth some time) and attract customers from over 100 miles away. Their sweet dog, Roger has also become a part of the business and attracts his own fans to the store. Sandra and Alan have utilized FEDCO’s resources of the NxLevel Business Planning Class and the loan fund along the way. “It’s difficult to say how much the FEDCO program has helped us, says Sandra. It saved our business and we wouldn’t be here today without the help from FEDCO. 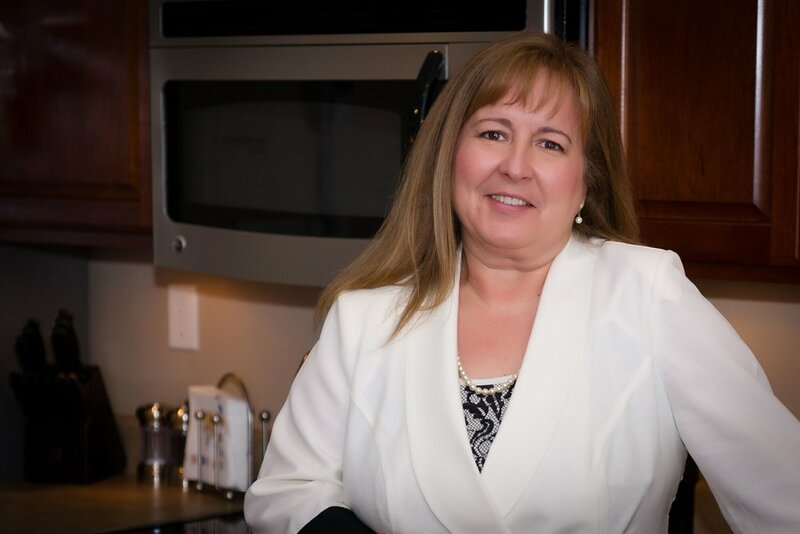 I’m so glad we did it.” When asked what advice she has for other business owners, Sandy emphasizes the importance of business planning. “The planning process really helped us decide where to spend our money and how to evaluate risks." Julie Zellers, owner of Glitter Grooming... and her "assistant" Snoopy. Making Fulton County beautiful, one pooch at a time. Julie Zellers, with support from her husband Jeff, started Glitter Grooming in 2014, offering “trendy” dog grooming services and pet products for pet owners in Fulton and surrounding counties. Glitter Grooming was a success from the start and Julie approached FEDCO to learn more about managing her growing business. She completed the NxLevel Business Planning Class, then became a loan client when Glitter Grooming needed to expand into a larger building and add more services including doggie daycare and dog boarding. Over 500 customers have used Glitter’s services and the list continues to grow. She’s serious about cleaning and we’re glad! Enid Tate started Enid’s Cleaning Service (ECS) in 1993 with the goal of offering affordable residential and commercial cleaning services to the people of Fulton County. The business has grown steadily since that time and employs 18 people, serves customers in 8 Indiana counties, and offers specialized cleaning services such as professional carpet cleaning, dry cleaning, and a line of environmentally safe cleaning products. ECS has earned various prestigious cleaning certifications and has won national awards for innovative approaches to all things cleaning. We’re proud that Enid launched her business from Fulton County and has used some of FEDCOs services along the way, including the technical assistance program to advance her skills, the NxLevel Business Planning course, and by attending seminars FEDCO offers on business related topics.